The official results came out today on ESO's website: the list of the 8 winners who will travel to Chile for visiting the European Observatories in Chile is now publicly unveiled. ★ Eric Benedetti (United States) - Instagram - Facebook. ★ Paul Davies (United Kingdom) - Twitter - Facebook - Instagram. ★ Tara Foster (Ireland/Australia) - Twitter - Facebook - Instagram. ★ Olivia Haider (Austria) - Twitter - Facebook - Instagram. ★ Felipe Hime Miranda (Brazil) YouTube - Instagram - Twitter. ★ Ariel Waldman (United States) - YouTube - Twitter - Facebook - Instagram. ★ Carol Wright (United Kingdom) - Twitter - Facebook - Instagram. 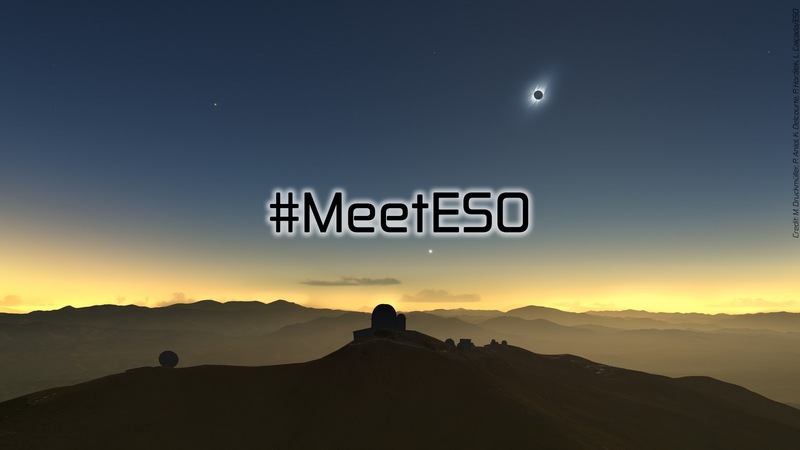 MeetESO is a social event whose main goal is to make people learning more about all exceptional astronomical places belonging to the European Southern Observatory such as: Paranal Observatory (with the VLT), La Silla, ALMA radio-antennas network...etc all of them located in Chile. 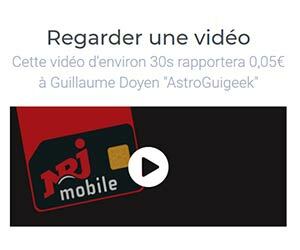 People submitting their application should match to specific criteria like having a conformable speaking-english level, a strong enthusiasm towards the fields of astronomy and showing a great motivation in sharing knowledge around these subjects on their social media platforms. During the tours (which usually take place within a week), the worldwide Lucky8 could then share their experience on the Internet and could play the roles of scientific ambassadors of their own country. A edition of MeetESO takes basically the advantage of a special occasion in order to be organized. The 2016 edition was centered around the date of the Mercury transit across the sun, on 9 May 2016. The 2019 edition will occur during the total solar eclipse of 2 July 2019! 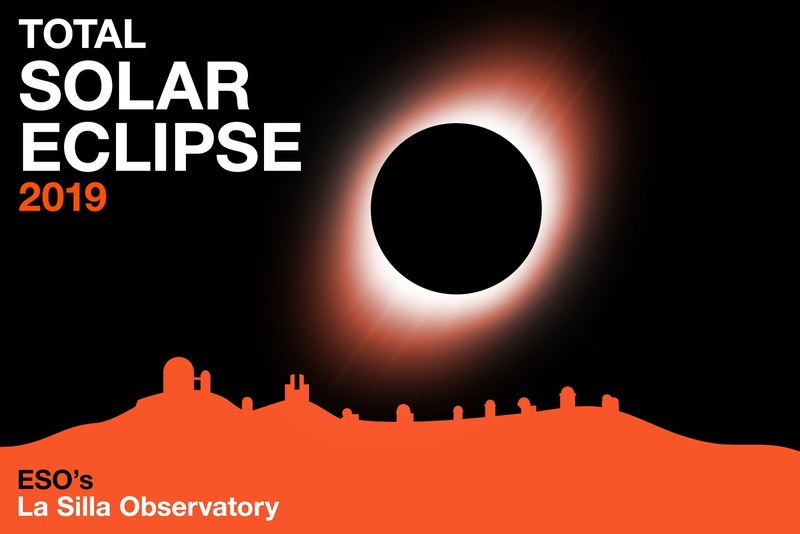 The schedule: a total solar eclipse from La Silla's Observatory! 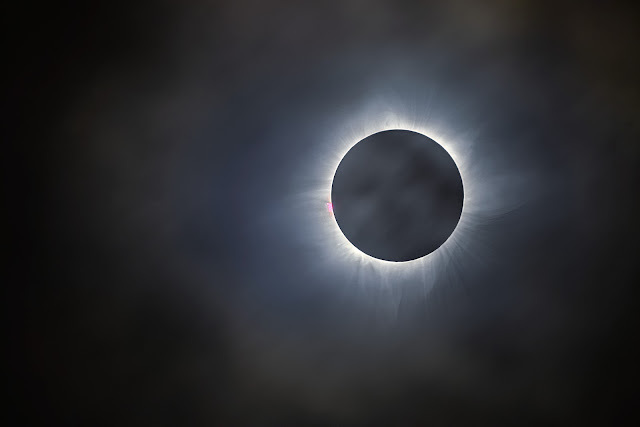 The key moment of this 2019 MeetESO edition, indeed, will be the total eclipse of the sun: an absolutely astonishing phenomenon which will take place in South America this time, and in a the northern part of Chile. 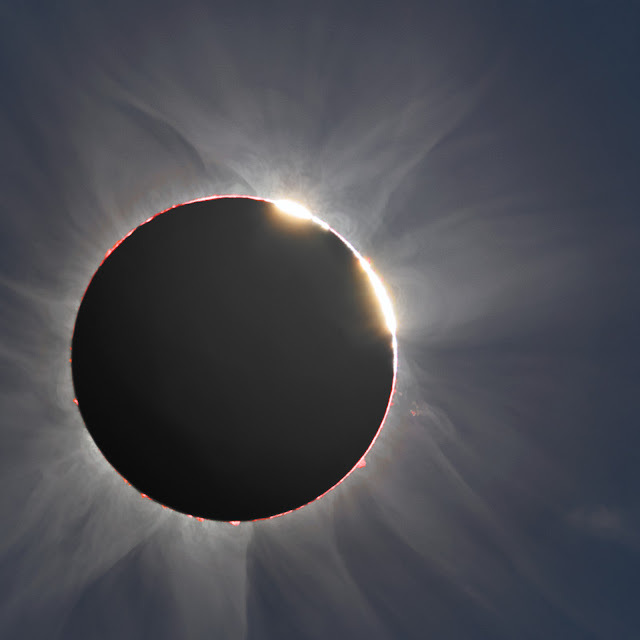 The most suitable region to attend the total eclipse is the Coquimbo one (for which La Serena is the capital city). La Silla's Observatory being located to the north of Coquimbo and on the border of the desert of Atacama, the totality will still be visible from there. Such a rare phenomenon, to the feet of a professional astronomical observatory in Chile will not happen within the next 212 years! We can be aware, beyond the public event of MeetESO, of the fascinating scientific interests that this event will bring to astronomers, who will turn on all their giant telescopes towards the corona. The construction site of the next world's largest telescope: Extremely Large Telescope (ELT) at Cerro Armazones. A meeting like MeetESO is the stepping-stone opportunity to discover and make people learning more about the behind the scenes of the most advanced technological systems used to do the most complex astrophysical research of our times. You might guess that I will do my best to share this personally-unprecedentedly exciting experience with you. This general tour of ESO's observatories is not dedicated to myself only, but intended for everyone who has a bit of curiosity regarding astronomy. 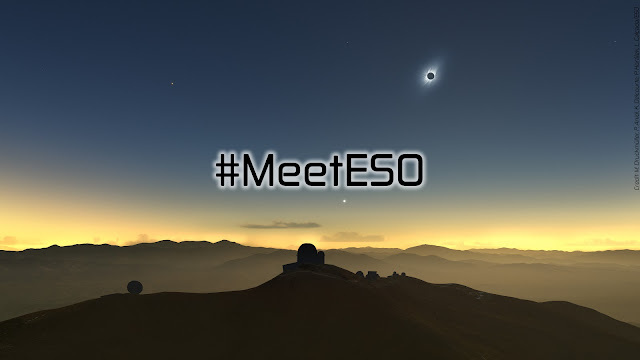 Follow #MeetESO adventure with AstroSpace ! To be constantly updated to my latest news or the ones from my colleagues, nothing is simpler than following us on the web! AstroSpace blog will be regularly up to date, and we will soon find some articles of all kind concerning MeetESO. Be part of this event is for me a genuine chance. I would have fulfilled it without you. So, I sincerely thank all of you who supported me in this project, supported my application, have been following me since my first steps and who allowed the special week of absence at work. Especially, I would like to thank my family and my relatives who helped me making my way up to this point. Thanks everyone and a bigger thank to ESO, of course!